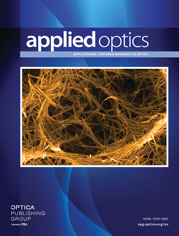 The authors are with Fujitsu Laboratories, Ltd., 10-1, Morinosato-Wakamiya, Atsugi 243-01, Japan. We propose a method of quantitative color characteristic design for color scanners. We used colorimetric simulation with an optical model and a color conversion circuit to match the scanner color characteristic to an color standard. A compensation matrix is defined using the least-squares method to minimize the objective error for many colors. To determine the matrix, a color space must be selected. We compared the results of conversion using matrices obtained in the CIELAB color space and in the RGB color space. The comparison shows that both conversions are nearly the same. Using computer simulation, we designed a color scanner with excellent conversion performance. The average color difference for 440 colors was ~1.3.